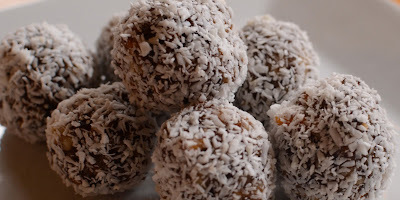 A bite of these coconut balls leaves you with the taste of Christmas in your mouth yet the feeling of health in your body! In a food processor, process raisins, walnuts, dates and apricots for 1-2 minutes or until finely chopped. Add juice and zest and blend for 1-2 minutes more. Chill mixture in refrigerator for 15 minutes. 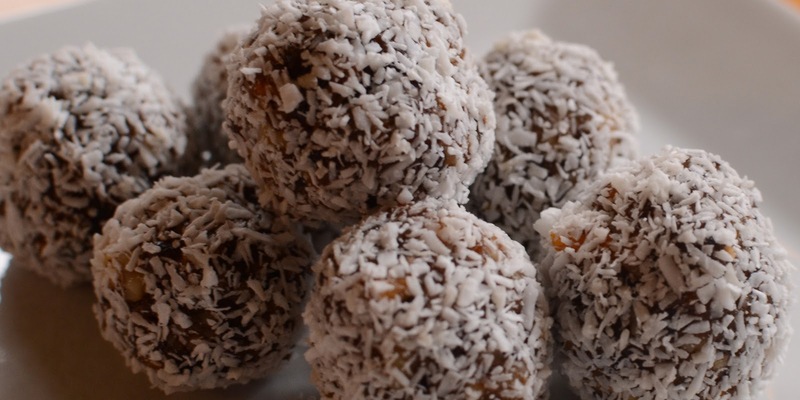 Dampen hands, form mixture into balls, and roll them in coconut. Store balls in refrigerator. TIP: If you don't have a food processor just chop up all the dried fruit as fine as possible by hand. This will take a bit longer but so worth it!